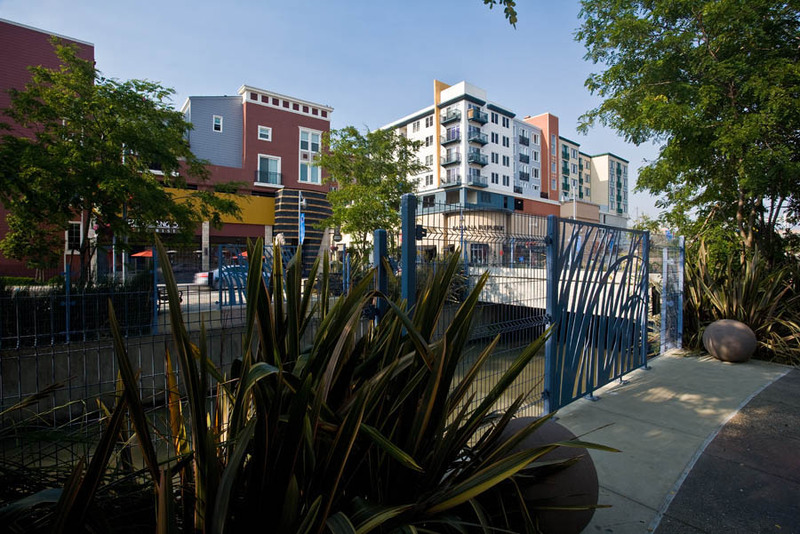 Located on the San Francisco Bay, this eclectic urban community combines retail, entertainment, office, hospitality and residential uses into a casual strolling village environment which draws from the rich history of its bayside. It uses architecture, lighting, landscape and environmental graphics to create a unique, contemporary atmosphere set in a traditionally industrial landscape. 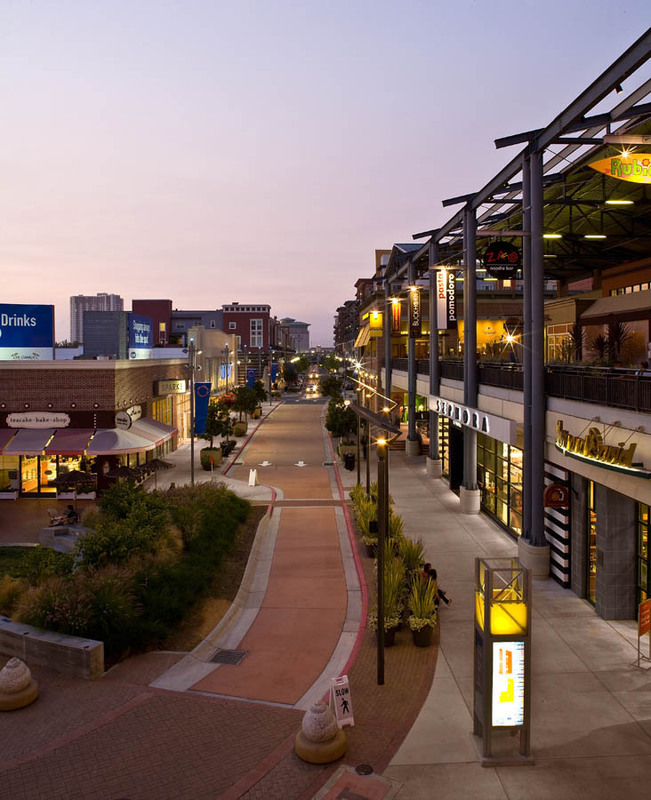 Organized in four city blocks connected by a main street, the project reflects the industrial architectural heritage of the area throughout its streetscapes, plazas and green spaces. 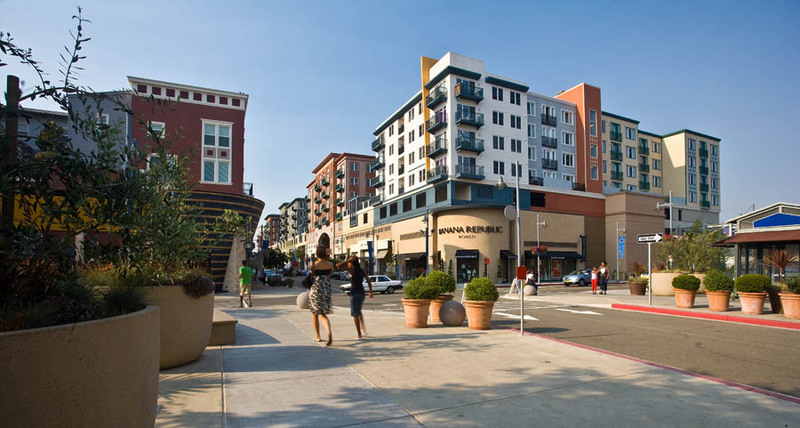 Bay Street Emeryville is a multi-phased urban village project located on a 26-acre brownfield site in Emeryville, California on the San Francisco Bay. 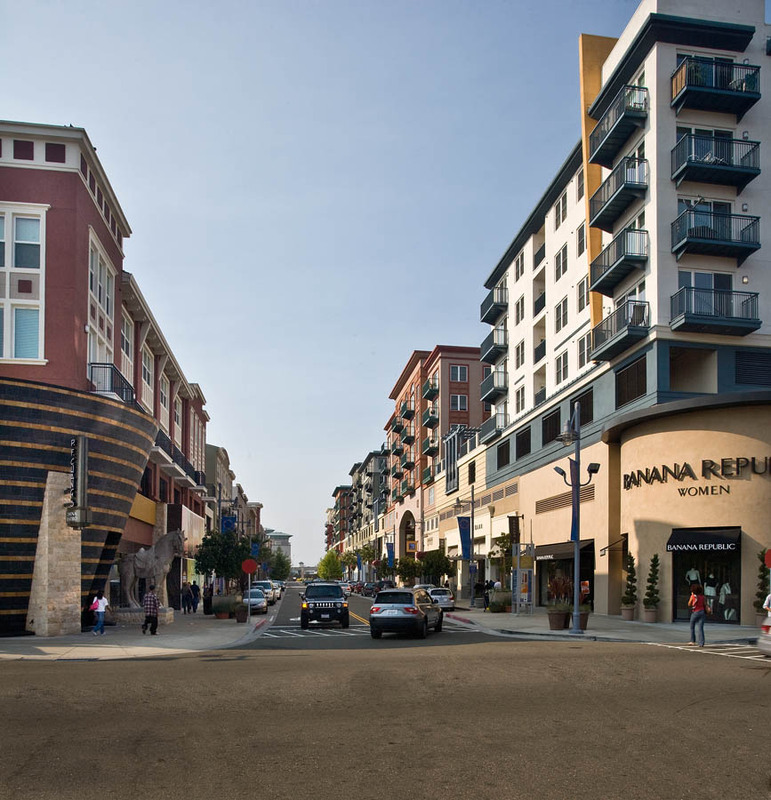 This project not only demonstrates LK’s ability to lead and coordinate a large, complex, mixed-use community development project, but also illustrates our ability to successfully provide architectural and engineering services for a significant community project. Furthermore, its efforts were centered and managed in LK’s office from more than 1,700 miles from the site and required on-going coordination and communication with consultants in five states. The construction portion of the project was completed in 16 months and the project opened on time. 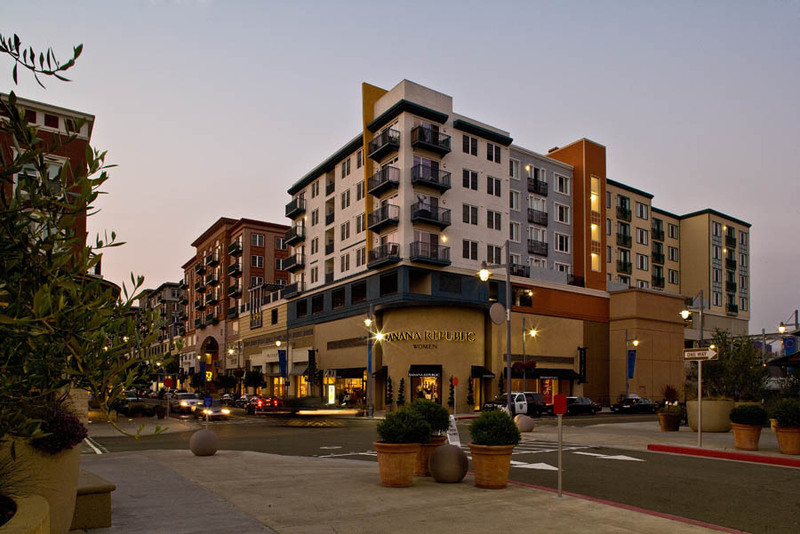 LK also developed the design criteria and tenant manuals for this development project. 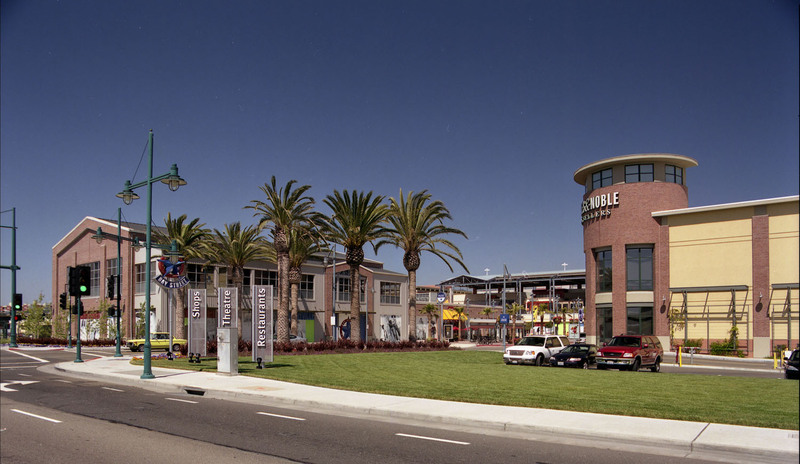 The project site originally had heavy industrial uses with extensive contamination, a polluted waterway, a prehistoric burial site, 40 foot deep gelatinous bay mud soils (1.5 miles from the Hayward fault), an adjacent three track railroad mainline, a two track commuter rail line, the confluence of four bay area highways and difficult vehicular access. 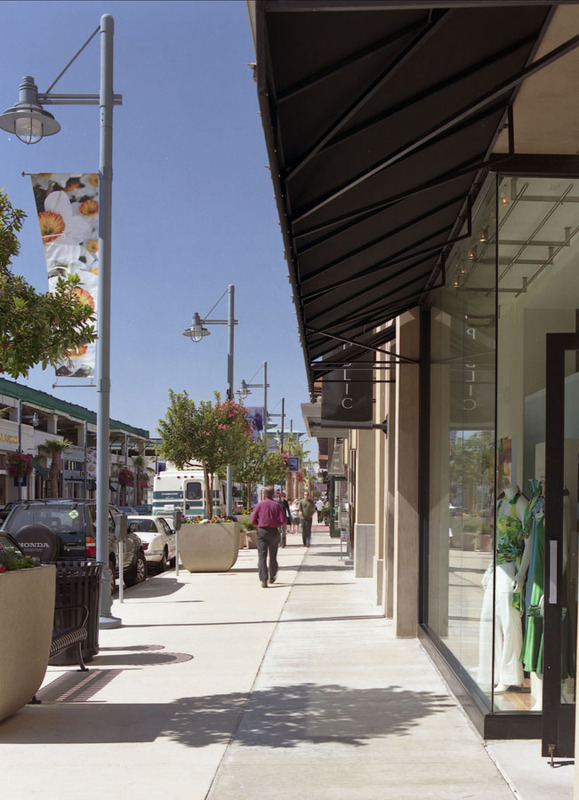 Starting with a master plan developed by a separate design architect, LK provided design and construction administration services for the entire four block development on a fast-track delivery basis. 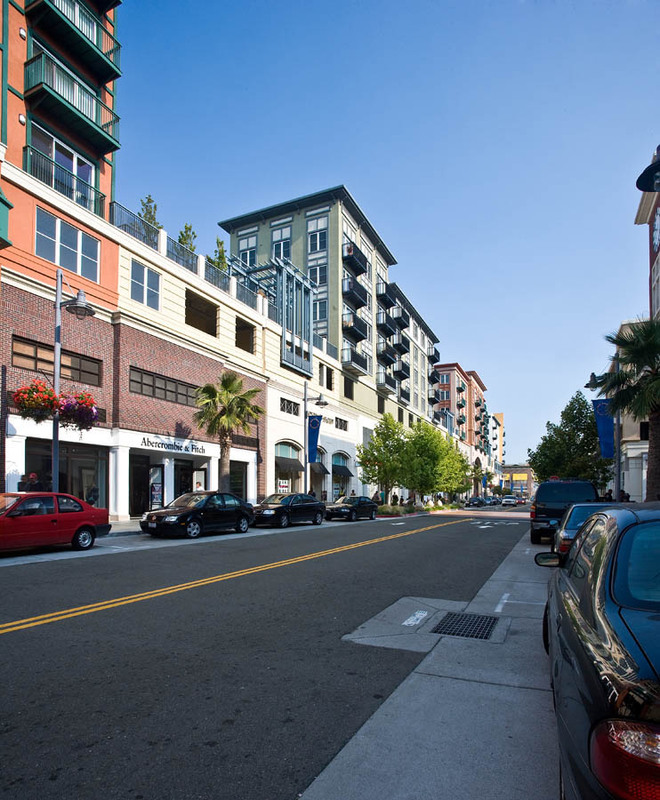 The project includes housing (two to five stories, 284 apartments and 82 condos located above a sky-level strolling pedestrian parkway) above multiple dedicated and segregated parking garages above retail stores. 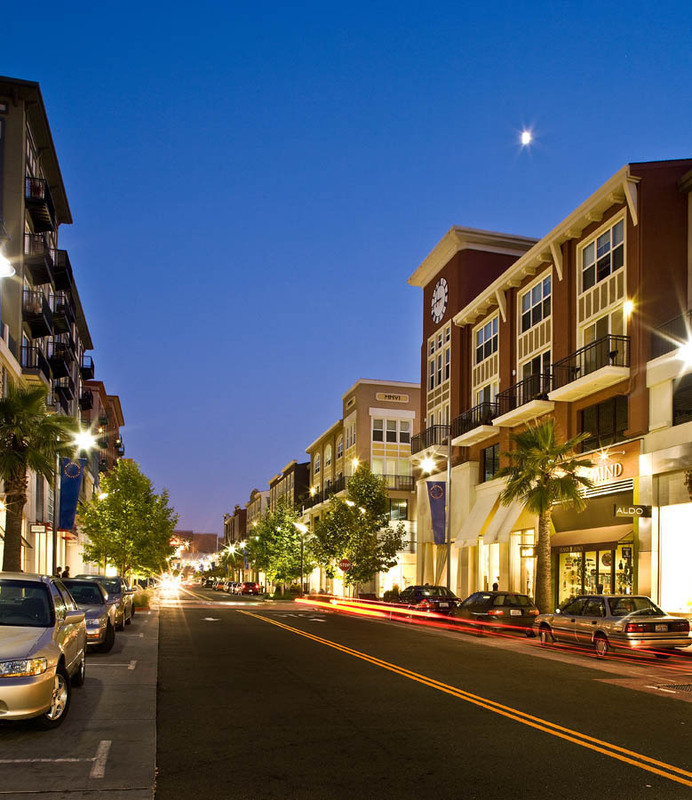 It also has a 16 screen theater located above five levels of parking, approximately 45 commercial tenants and, in a separate building, offices. 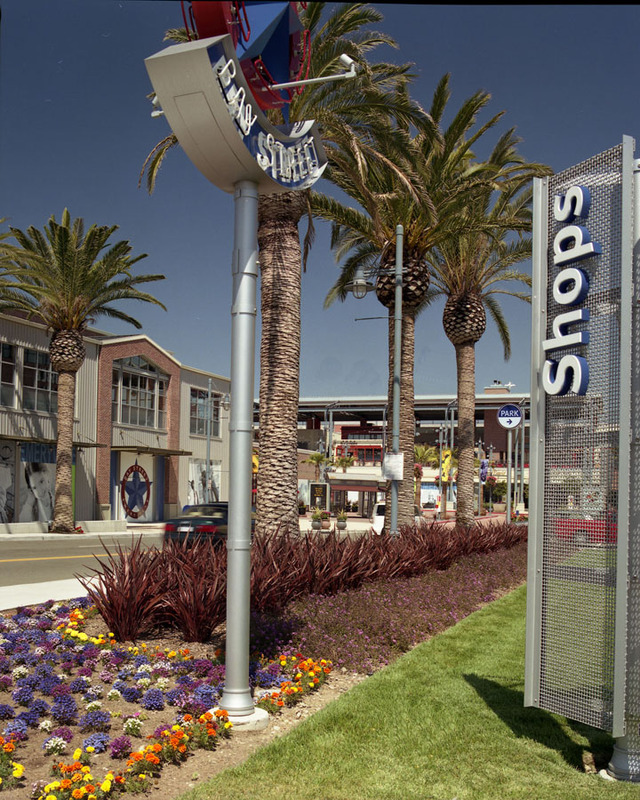 1,900 parking spaces are integrated into four of the five structures on site.